No need to go on a quest in the kingdom of Hyrule, travel from your own home, in front of your Nintendo game console and while hold this awesome Zelda mug. It is marked with the HYrule crest the Zelda saga. 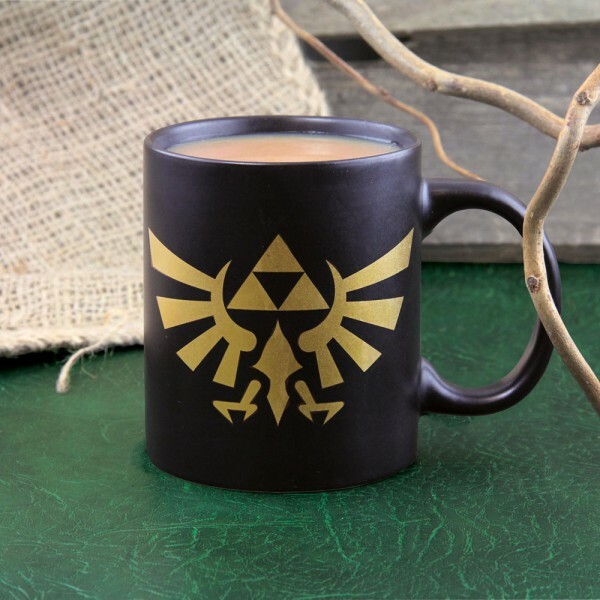 This Hyrule mug is black with a golden crest. It should not be placed in a microwaxe or dishwasher. Il s'agit d'un produit sous licence officielle Zelda. 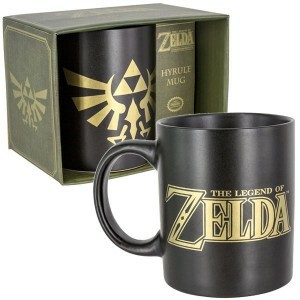 Votre Mug Zelda Hyrule Wingcrest est en stock !